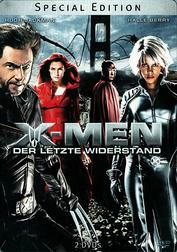 Synopsis: While Wolverine is searching for his past, his past is coming to him - in form of Colonel Stryker. Stryker once gave him his adamantium skeleton and now he wants "Cerebro", Xavier's technology to find all the mutants in the world. And Stryker wants to control them with it. But he hadn't anticipated that the "X-Men" and Magneto's "Brotherhood of Mutants" would join forces to stop him. My Opinion: It's the best of the three X-Men movies, the main characters are all aready introduced and we see much more mutants and abilities. The story is very enthralling but also balanced between action scenes and more quieter ones like the one at Bobby's parents. I'Ve never noticed this before, but: Bobby's parents ask him whether he has tried not being a mutant. As if the question itself isn't funny enough, Buffy's mother asked a similar one: Whether she can't be the Slayer anymore (must have been in Becoming [second season's finale] if I remember correctly). 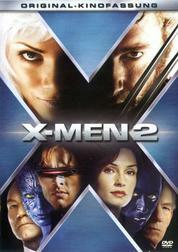 Too bad that Bryan Singer decided to make Superman Returns instead of the third X-Men movie. Just like with Spider-Man the third part can't keep up with it's predecessors. Synopsis: A "cure" has been found to "heal" the mutants. And while some mutants like Rogue want to be healed most of them don't see their abilities not as a disease that has to be cured. And Magneto will do anything in his power to destroy what he sees as poison for his kind. But the X-Men have problems of their own: Jean has returned as Phoenix and she's already killed Cyclops. Can she be stopped? My Opinion: A not so good conclusion to the overall very good trilogy. There were too many things I didn't really like about it and most of them are connected to the Phoenix: Scott's death (offscreen, too! ), Xavier's character change, Jean's character change, Xavier's death, ... I know that the "Dark Phoenix" story is part of the comics but not everything that works in a comic works in a movie, too. Especially when it has never been mentioned before. If they had really wanted to conlcude the series this way they would have dropped hints in the first two installments. This goes also for this sudden classification: What the heck is a "class 3 mutant"? I have told you before that I am not really good with faces that I have a hard time to recognize a person if I haven't seen him or her that often before. What helps is that I have a good recognition of voices, so I often recognize an actor even if he wears an alien mask or something else. And so it was with the Kitty Pryde of this movie. I heard her voice and instantly said "Hey, that's Juno!" and so it was. Especially when it has never been mentioned before. If they had really wanted to conlcude the series this way they would have dropped hints in the first two installments. One of the worst things about part 3 is that there was a hint in part 2 and they screwed it up. They leave Jean behind, believing her dead, but as they fly over the water, you can catch sight of a bird shaped shadow in the water. Cue fan-boy hysteria! They leave Jean behind, believing her dead, but as they fly over the water, you can catch sight of a bird shaped shadow in the water. Cue fan-boy hysteria! I've seen that, too, but that's not enough IMHO. They should have at least mentioned that she has buried abilities. And as I said, Xavier acted totally different than in the previous two movies. Synopsis: Jake has just been released from prison when he and his brother Elwood visit Sister Mary who asks them for a favour. She needs 5,000 dollars or the city will close the orphanage where Jake and Elwood had grown up. And now both are on a mission from God: They put the band back together to raise the money. And now starts one of the best music road trips of all time. My Opinion: Great movie. Great music. Great car crashings. Great guest appearances. Great movie. Everyone who likes good music (that excludes addicted ) should have seen this one. And the story is really funny, too, especially Carrie Fisher's character. Did I mention "great movie"? Early in the nineties I used to get up real early on saturdays because at 5.50 a TV show called Rawhide used to run where a Mr. Favor was the trail boss and he brought a herd of cattle from A to B and one of his cowboys was Rowdy Yates, played by a certain Clint Eastwood. Granted, it has been a while since I last watched the movies, but I think I remember little hints about Jean's powers. In the first one she talked about how the Professor had been helping her control them. Throughout the second one, she was having some issues with her power. There were hints of the Phoenix power creeping out when she used them every so often. Red was showing up on her and I think even in her eyes at that one point in the damn when she had to stop Scott..after the one guy had taken control of him with that serum stuff. I'm thinking that back in the first movie, when Jean was talking to Logan about her abilities, she said she started with one and then began developing another after being at the school. I can't remember exactly now since it has been a while since I watched them. Hmm..I may have to watch them again now. By the way, I agree that the third movie wasn't as good. Cramming the Dark Phoenix storyline into the same movie with the "cure" for being a mutant was just wrong. The Dark Phoenix story should have been one movie all on its own with all the complications and things that were going on with that. I agree. I know what you mean, Karsten, but I think if Singer had been able to develop it as he had originally planned, those lack of hints would have made sense. I think that's pretty much how it ran in the comic; Dark Phoenix did come in pretty sudden, the conceit being everyone was taken by surprise, making her even more dangerous and tragic. Changing Xavier, overcrowding villains and making her just stand around looking moody could only dilute a storyline that was powerful enough on its own. 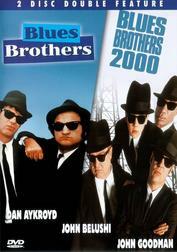 By the way, I love Blues Brothers! Fantastic movie on so many levels. The Blues Brothers. They're on a mission from God. I love them. So full of excellent lines and quotes. 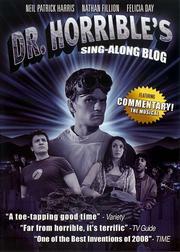 Synopsis: Dr. Horrible wants to become a member of the ELE - the Evil League of Evil. But his inventions haven't been a success yet. Somehow his crimes always fail, mostly due to the intervention of Horrible's nemesis: Captain Hammer. But the league wants him to commit a real crime before he can become a member of the ELE. And additionally he's in love with Penny but he's to shy to approach her. My Opinion: It's a very funny musical by Joss Whedon. I don't know if he produced it during the writer's strike but he got the idea back then. The three acts were released on the internet without charge, without being accompanied by advertisement. I watched them back then and loved it from the start. The musics, the lyrics, the acting - everything matches and it's a great fun to watch. I even watched all the bonus material, something I usually don't do. And I watched the application videos for the ELE which were also really funny. A must-see for every Whedon (Buffy, Angel, Firefly, Dollhouse) fan. PS: When I first watched this, I didn't even know him, but now I recognized "Moist": It's "Wolowitz" from The Big Bang Theory! I shied away buying it because of this: "This product may be manufactured on demand using DVD-R recordable media." How is the quality of the disc? Synopsis: Whoever becomes lord over Castle Grayskull on Eternia becomes the Master of the Universe and Skeletor plans exactly this. He uses a cosmic key to open a portal directly into the castle and he can assume control. He-Man and his friends have to retreat, they use the key to get out and they land on Earth. But neither Skeletor nor He-Man is giving up. And suddenly the highschool students Julie and Kevin are in the middle of an epic fight between good and evil. My Opinion: This is a guilty pleasure of mine. 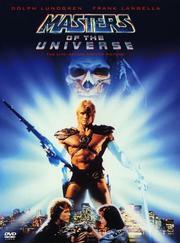 I love this movie even though it's totally cheesy and Dolph Lundgren can't act at all. But it doesn't matter. It's still a great fun to watch. I like it also, even if it is a blatant Star Wars rip-off. Skeletor = Emperor. Even the ending is the same is Return of the Jedi. And the theme music is very similar to John Williams' Superman theme mixed with some Star Wars themes.